Some countries and states, including California, are contemplating or making plans for phase-outs or bans on the sale of new internal combustion engine passenger vehicles by a date certain. 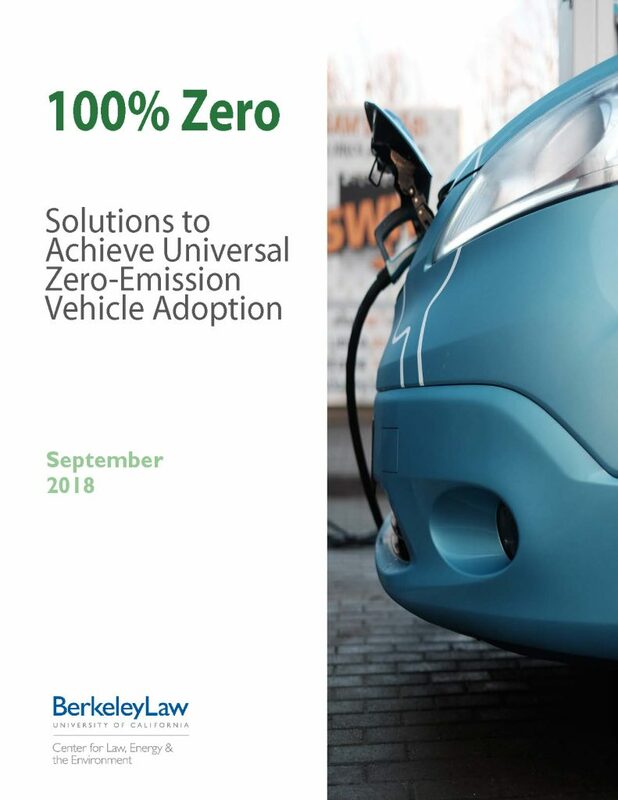 Berkeley Law’s Center for Law, Energy and the Environment (CLEE) is today releasing the report 100% Zero to offer policy pathways to make such a scenario affordable and achievable. A phase-out on gasoline-powered vehicles will be critical to achieving long-term climate goals and improving public health. To that end, California Governor Jerry Brown set a goal of reaching five million zero emission vehicles (ZEVs) on the state’s roadways by 2030, including 250,000 public chargers by 2025. As of mid-2018, Californians were driving over 400,000 electric vehicles. These and other solutions are discussed in more detail in the report. CLEE will also be presenting these findings at a Global Climate Action Summit affiliate event from 1-3pm today at the San Francisco Law Library. Hard copies of the report will be available. Just a note that plug in hybrids could be a means of introducing virtually ZEVs early, and there are some very neat ways to build them (that require the skills of someone familiar with marine gas turbine and steam power plants, who really misses steam power plant design). Also note that the entire world merchant shipping sector is committed to zero emission commercial shipping in the near future under IMO.